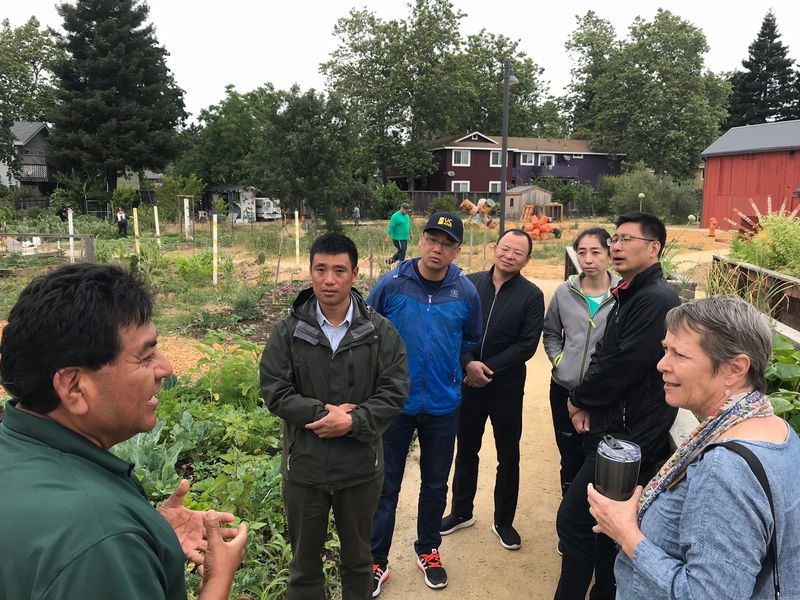 To promote the exchange and sharing of agricultural extension information, several U.S. Land Grant institutions have formed an alliance with 10 Chinese agricultural universities. 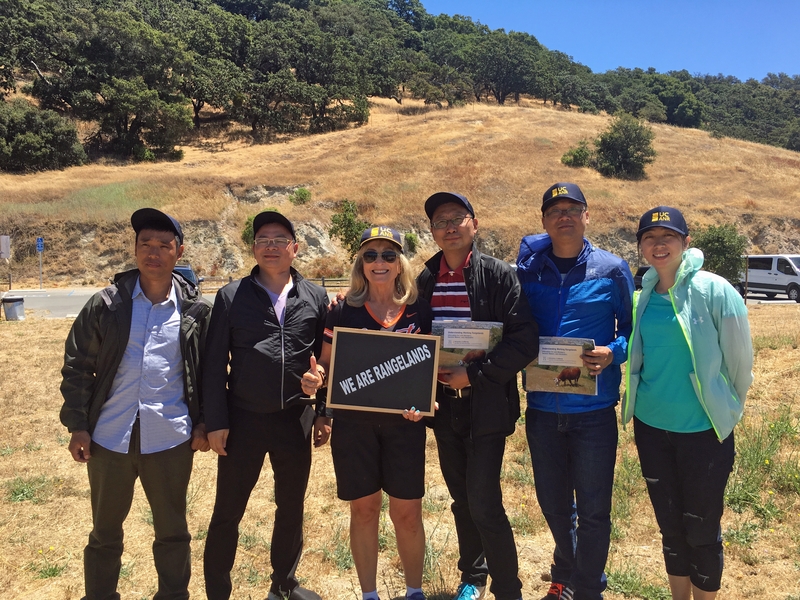 From June 17 to 22, UC Agriculture & Natural Resources took a group of scientists from Chinese agricultural universities on a tour of agriculture in Northern California. 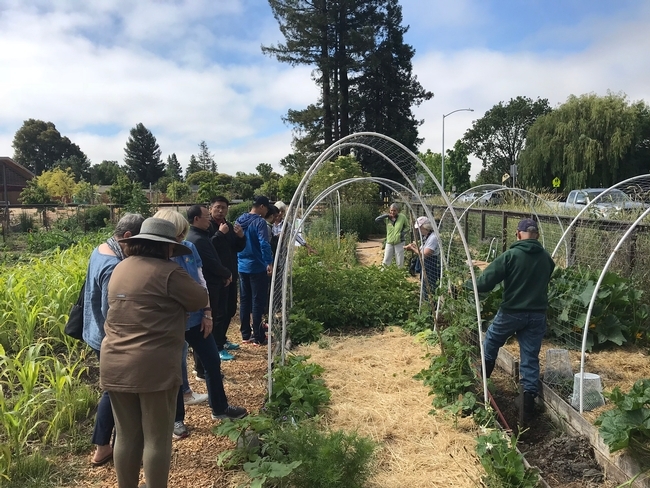 In the United States, the Extension programs are run out of each state's land-grant institution, in our case, University of California Agriculture & Natural Resources. 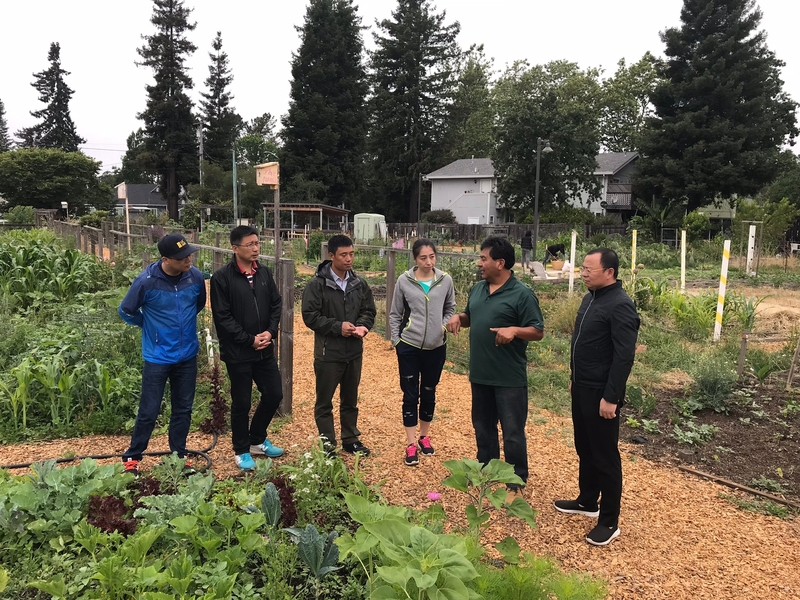 In China, the program is run out of their national government with a “complex and inefficient extension network, disconnection between the extension service and stakeholders' needs.” (Abstract from Current Status of Agriculture Extension in China, 2016). China Ag Extension is in the process of reforming and this visit was related to their process. 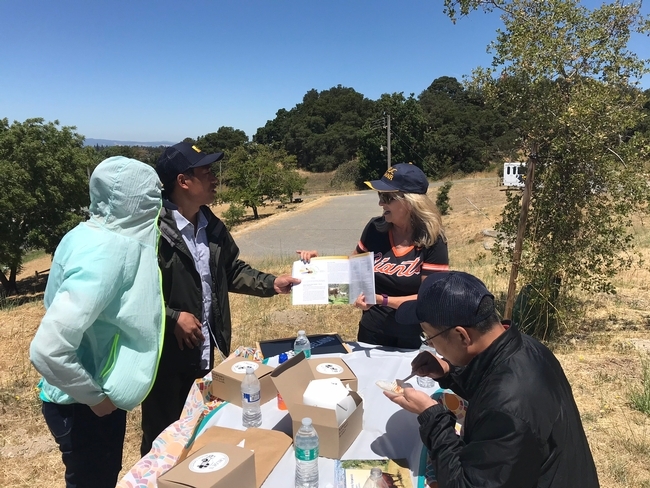 On June 19 and 20, the delegation visited Sonoma County to learn about our Ombudsman, Master Gardener, 4-H and Rangeland programs in Sonoma County. Photos at end of the story. The evening of June 19, Agriculture Ombudsman, Karen Giovannini, shared how she helps farmers and ranchers navigate permitting and regulations. She explained how, at their most refined, regulations are in place to protect resources, that is, people and the environment. China also has many ‘rules' as the delegates called them. Karen shared locally made sheep, goat and cow cheeses with the delegates as an example of how a dairy operation could expand their product offerings to help them stay viable. Although cheese is not a ‘traditional' product in China, Karen explained that it could be a way to help keep some of the younger generation in rural areas. China is continuing to experience the largest migration in world history. 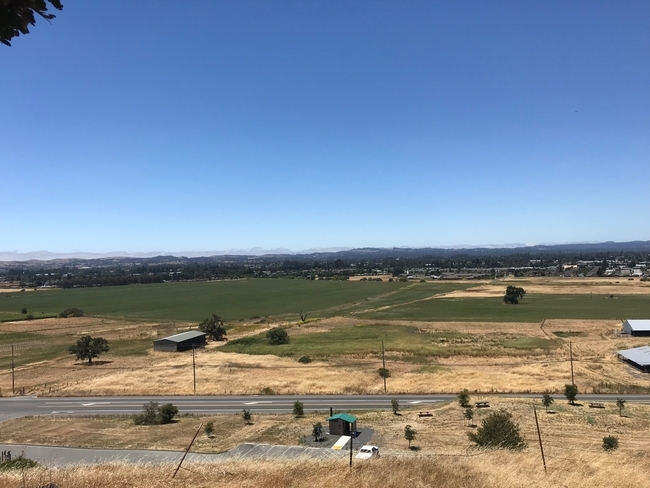 The rural population is migrating into the urban areas for better pay and opportunities raising concerns about the negative impacts on their agriculture sector and food security. Fun fact, in 2013: “Roughly one out of every 25 people in the world was a resident of a Chinese city who arrived, or was born, since the current round of [Chinese] economic reforms began in 1978.” Like United States, labor shortages in agriculture in China are creating a need for more agriculture technology. 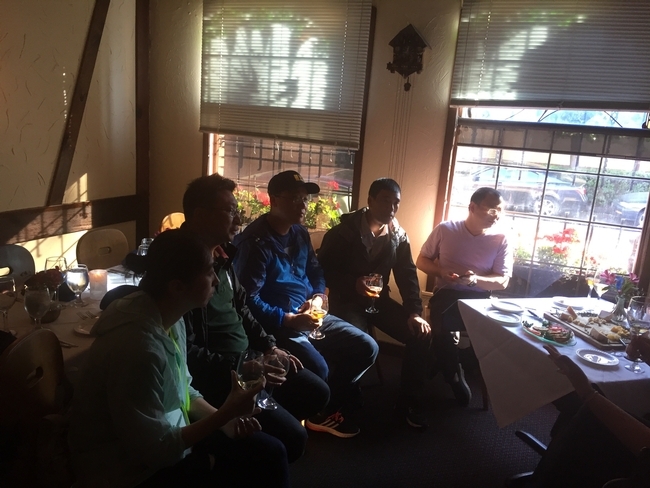 By the way, of the delegates that tried the cheeses, their favorite was the goat cheese. 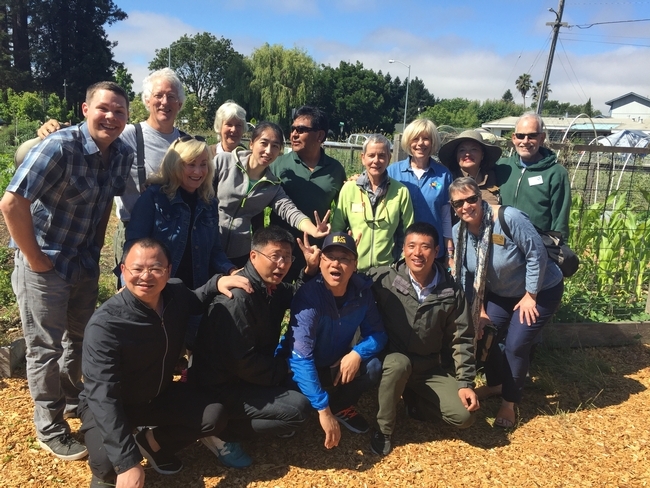 On morning of June 20, Master Gardener Food Gardening Specialists and Jonathan Bravo from Bayer Farm kindly hosted the Chinese delegation. 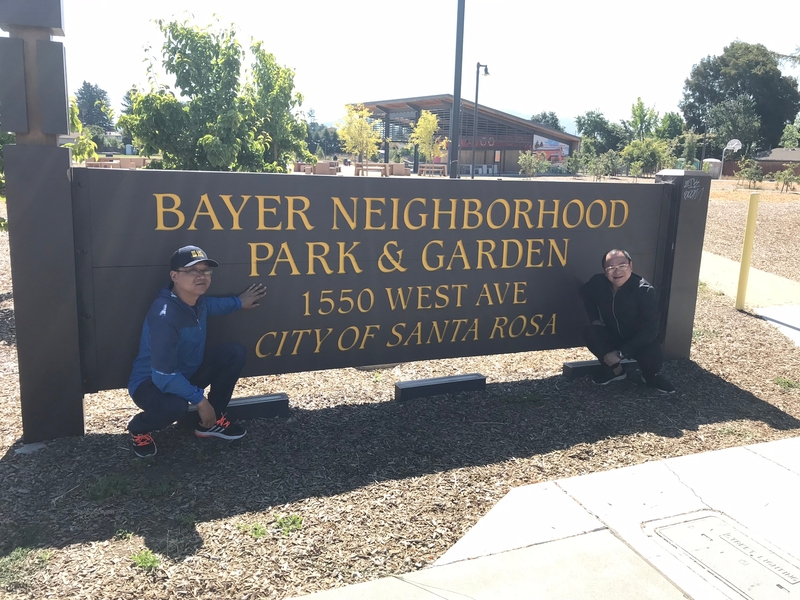 Jonathan, the garden manager, showed the delegation the community garden at Bayer Farm and talked about the programs there and then the FGS team led the delegation through the demonstration garden and discussed the sustainable food gardening principles being shown in the garden, such as integrated pest management and square foot gardening, and discussed their educational outreach programs in the garden. Because so much of China's population lives in the cities, this example of urban farming is of interest to the delegates. 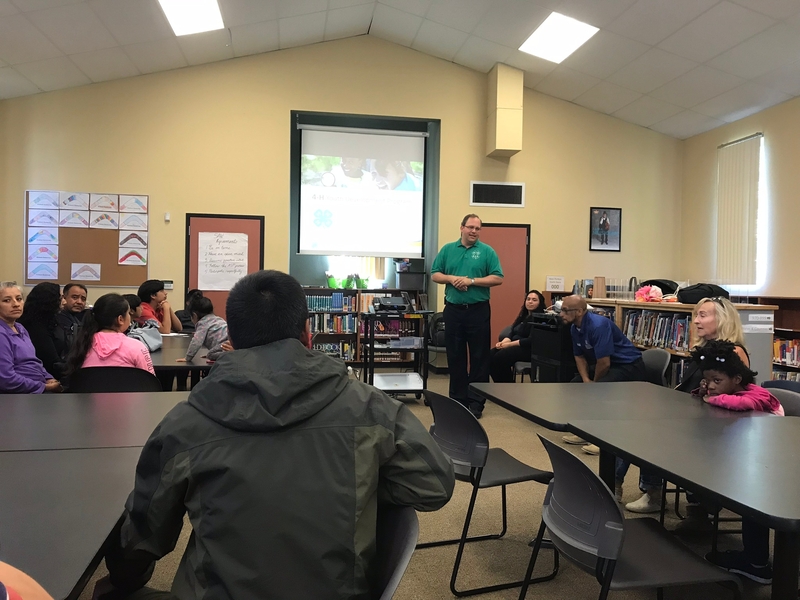 That afternoon, the Sonoma 4-H Youth Development staff, Steven Worker, Diego Mariscal, and Jesenia Mendoza, along with several 4-H families, welcomed the Chinese Extension delegation at Roseland Elementary School library. 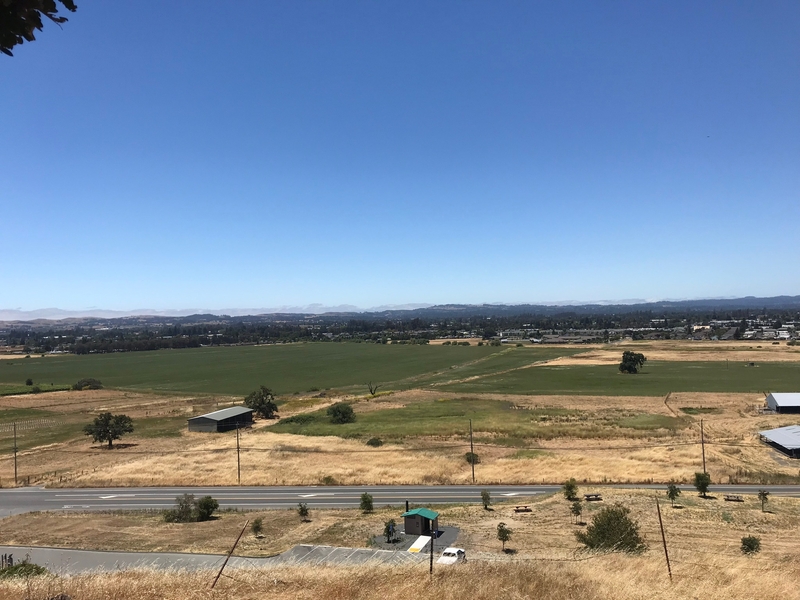 The delegation was introduced to the 4-H program in Sonoma as well as Napa and Marin. The youth development aspect of the Extension program is of great interest to the delegates. Because of the migration to urban living, Chinese youth are not exposed to agricultural careers. China also needs youth interested in mechanizing farming. Diego explained how 4-H outreach strategies adapt programs to meet the needs of communities. Jesenia introduced efforts to reengage teens in 4-H and offer college and career preparation. Youth and parents also shared their experience in 4-H, what they have learned, and how they have made a different in their community. Science literacy is a core focus for 4-H programs, so we conducted the “Sparks of Science” activity, where everyone selects a field of science that interests them from a pack of 50 cards then shared why they chose that field of science. The delegates were also very interested in the bilingual interactions. In China, there are many dialects and it will be important for youth extension programs to reach out to the rural population in their native dialects. The delegation was also quite interested in 4-Hers selling market livestock at the fairs as they observed when visiting Shasta County fair earlier that week. 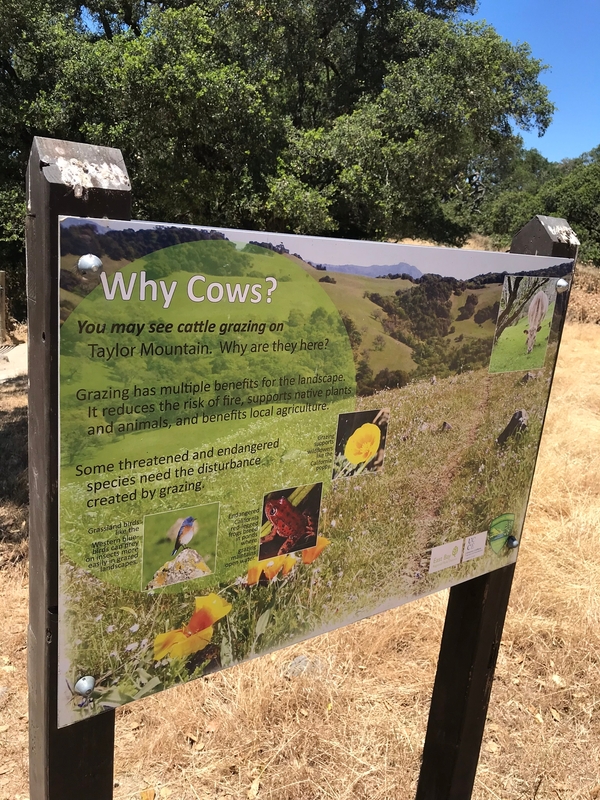 Final stop in Sonoma County was a visit to Taylor Mountain Regional Park. Dr Stephanie Larson shared the experiences she had with setting up grazing on public lands and the many benefits it provides, including exposing the non-farming community to livestock on working lands. They hiked to one of the educational signs along the trail that UCCE advisors developed, along with videos and fact sheets, to educate the public about the importance of maintaining proper livestock grazing and rancher stewardship on California's rangelands with public access. Although China has the third largest population of cattle, they import most of their beef to meet the increasing demand due to increasing standard of living of the Chinese people. As recent as 2016, “small farms with 9 or fewer cattle slaughtered per year are responsible for a major portion of Chinese beef production.” Plus, their native cattle breeds far underperform when compared to fast growing beef cattle breeds in the United States and other countries. Developing grazing programs on public park lands in China will keep their heritage alive while producing the many benefits grazers provide. The delegates were fascinated to see the cattle enjoying the grasses. 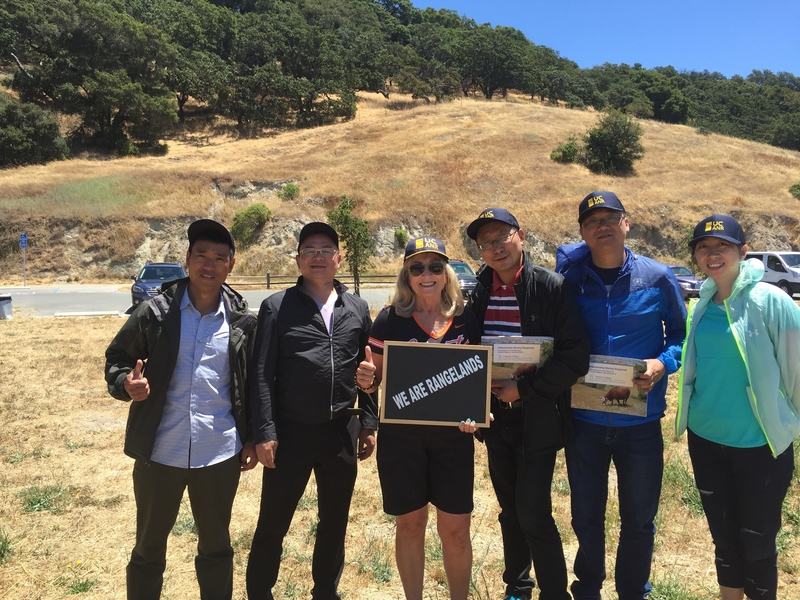 The delegates loved their visit to Sonoma County. Next stop was UC Davis and the Russell Ranch Sustainable Agriculture Facility, UCD's living laboratory. 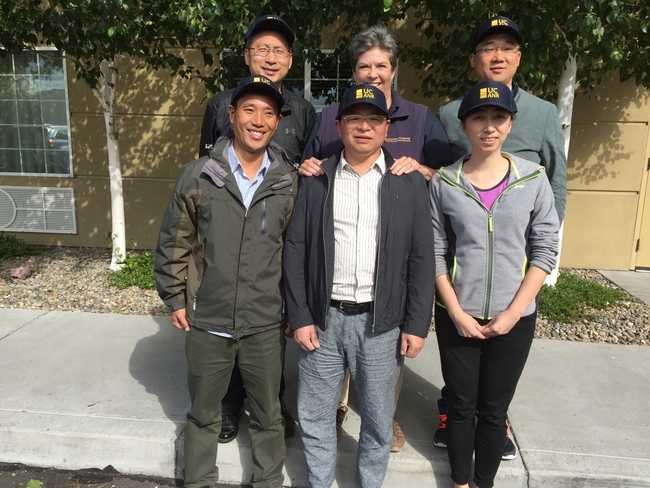 The Chinese Extension Alliance Delegation, with Glenda Humiston: top row Song Hui, New Rural Development Research Institute of Northeast Agricultural University; Glenda; Sun Wenpeng, Northeast Agricultural University; front row He Minghui, Hunan Agricultural University; Luo Jian, Hunan Agricultural University; Li Peng, Office of Invigorating Agriculture with Science and Education in the Department of Science and Technology. View west from Taylor Mountain. Pacific ocean is beyond the fog.